The dilemma of a full-time Minister for Law & Order continues while President Sirisena vacillates over Prime Minister Ranil Wickremesinghe’s nominee, Field Marshal Sarath Fonseka. According to at least one media report, no UNP Minister is agreeable to accept the post resulting in the UNP deciding to resubmit Fonseka’s name. Reasons for the President’s reluctance to accept the Prime Minister’s nomination are unknown. One is justified in questioning if the President’s reluctance is due to political reasons. Law and order should not be traded off for political expediency. Meanwhile, law and order in the country is going to the dogs, the latest being the episodes in Ampara and Teldeniya. The Police and STF, unable to bring the situation in Teldeniya under control have requested for assistance from the army. Both incidents have begun to take a communal dimension. Images of burnt-out shops and marauders armed with poles in the streets have started to trickle through social media. Such incidents are bound to reverberate in the current and future UNHRC sessions in Geneva. Not a single day passes without multiple traffic accidents, often involving fatal causalities. It is understood, over a dozen senior Police officers, many of DIG rank are opposed to Fonseka’s appointment. The Police force of today is not the force of years gone by. Recent news about the conduct of senior police officers is appalling. One about to be arrested former IGP has managed to obtain a court injunction preventing his arrest over the improper influencing of the investigation in the death of a well-known sportsman a few years ago. A Senior DIG, a DIG, and an OIC too have been taken into custody for questioning over the same crime. Another former IGP had a proven track record for keeping the company of leading members of the underworld and drug trade. It is no wonder senior police officers are opposed to the appointment of a military man known to be a disciplinarian. Fonseka might be the answer for a thorough cleanup and instill some badly needed discipline in the Police force. There is yet another very valid reason for the appointment of Fonseka. 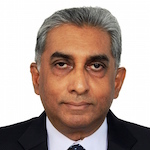 The former Minister for Law & Order, a Wickremesinghe protégé, was accused of going slow on following up on corruption charges against members of the previous government and Rajapaksa family members. Politics and politicians in Sri Lanka being what it is, most appointees will suffer from the ‘you tickle my back, I tickle your back’ syndrome. On the other hand, Fonseka will be one of the few who will not suffer from such a syndrome. He has the necessary motivation to pursue pending corruption cases relentlessly. Some rapid results could be expected with him heading the Law & Order Ministry. One of the several reasons attributed to the poor performance of the current regime in the recent Local Government elections was the lack of delivery on promises made before Presidential and Parliamentary elections to prosecute stalwarts of the previous administration accused of corruption. Commencement of proceedings against even a few such politicians during the next two years will help the image of President Sirisena and Yahapalana government tremendously. Law and order in the country has been deteriorating beginning shortly after the Yahapalana government assumed office. Regular protest marches resulting in traffic log jams are a common occurrence. University students protesting over SAITM, wild cat strikes by GMOA members, some others protesting over ETCA, Petroleum Corporation employees over the leasing of the oil tank farm in Trinco and Hambantota Port workers over the handing over of the Port to a Chinese company despite generous redundancy packages offered, are a few of the many other instances. ‘Invest Sri Lanka’ forums will not gain traction with foreign investors so long as regular work stoppages take place due to strikes and protest marches bringing the central business district to a halt regularly. Right to Protest is a hallmark of a democracy. However, too much of anything including freedom is counterproductive. Police response time in situations such as Ampara and Teldiniya need be much shorter. A robust mechanism is required to keep protestors in check and thugs off the streets. Sterner measures than barriers and water cannon may be necessary at times to bring demonstrators and arsonists under control. A few broken heads and limbs may be easier to defend in Geneva than murders and torching of businesses and homes, especially of minority communities. It is time to think out of the box. Let us give Field Marshall Sarath Fonseka a crack at law and order for one year. If the experiment does not work, he could always be replaced. Will The OMP Address What Is Missing In The Justice System – The Law?